This is one of my favourite summer recipes, it’s quick and easy to make at home. You don’t need an ice-cream maker for this recipe and it takes about five minutes to make. 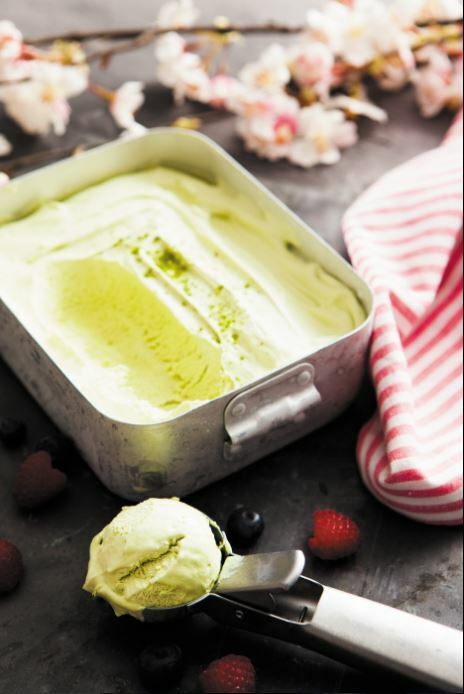 So give it a try and I’m sure you’ll be experimenting with different flavoured ice creams once you see first-hand the rewards of making your own. 1 Using a fork or a small whisk, mix the matcha powder and water together until all lumps are dissolved. Set aside. 2 Whip the cream until soft peaks form. 3 Stir in the condensed milk, lemon juice and matcha mix using a large spoon. Mix well together. 4 Transfer the ice cream into an airtight container and freeze for at least 4 hours or overnight.